Four-time Ladies’ World Champion Lisa Ashton booked her place in December’s World Darts Championship following a 6-3 win over Maria O’Brien. Ashton, who is the reigning Lakeside champion after lifting the title for a third consecutive year in January, came through a 120-strong field at the Marshall Arena in Milton Keynes to seal her place in the £2,500,000 tournament. The 48-year-old will join Anastasia Dobromyslova after the Russian came through last Sunday’s Rest of the World Qualifier held in Düsseldorf, Germany. Ashton failed to drop a single leg in her opening five matches; defeating Sharon Costello, Stephanie Stutley, Sarah Ceska, Jane Densley and Denise Cassidy en route to the semi-finals. The Bolton-based star was handed a tougher test in the last four but pulled through with a 5-2 win over Wales’ Rhian Griffiths before ending Maria O’Brien’s superb run to the final hurdle, winning the event with a scintillating 132 checkout on the bullseye. Despite enduring defeat in the final, it was a memorable day for Plymouth’s O’Brien – who enjoyed victories over World Trophy winner Fallon Sherrock and Deta Hedman following wins over Diane Nash, Sarah Mallott, Kirsty Chubb and Paula Burgess earlier in the qualifier. 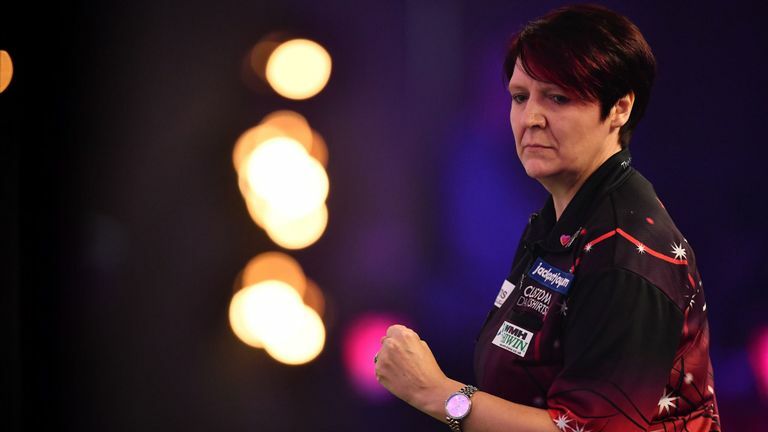 Lorraine Winstanley, who many fancied to take the title ahead of proceedings in Milton Keynes, suffered an agonising fourth round exit at the hands of Deta Hedman while similar to Winstanley, Fallon Sherrock was beaten in a last leg decider after squandering match darts. Tracy North was hoping to join her husband Richard at Alexandra Palace but her hopes were scuppered following an early exit at the hands of Rhian Griffiths while Crissy Manley, wife of Peter Manley, was defeated in the second round of action. Lisa Ashton and Anastasia Dobromyslova will be informed who they will face in London during tomorow’s draw that can be watched live on Sky Sports News from 5.30pm.